Unfinished (or properly prepared and sanded previously finished) wooden surfaces such as wood cabinetry and doors, paneling, furniture, and wood railings, as well as some vinyl and other plastic surfaces (always test for compatibility with surface. Coverage will vary depending upon the type, age, and porosity of the wood and on the number of coats applied. Test patches will provide a good indication of likely coverage. In general, when applied in wet-on-wet coats to weathered wood, one gallon will cover from 125 square feet to 250 square feet; on new, relatively non-porous wood, from. 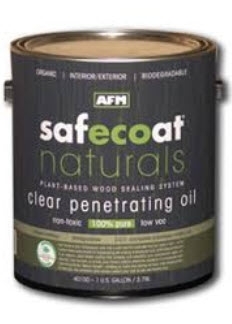 For 250-450+ square feet.If necessary or desired, Safecoat Naturals Penetrating Oil may be thinned with Safecoat.